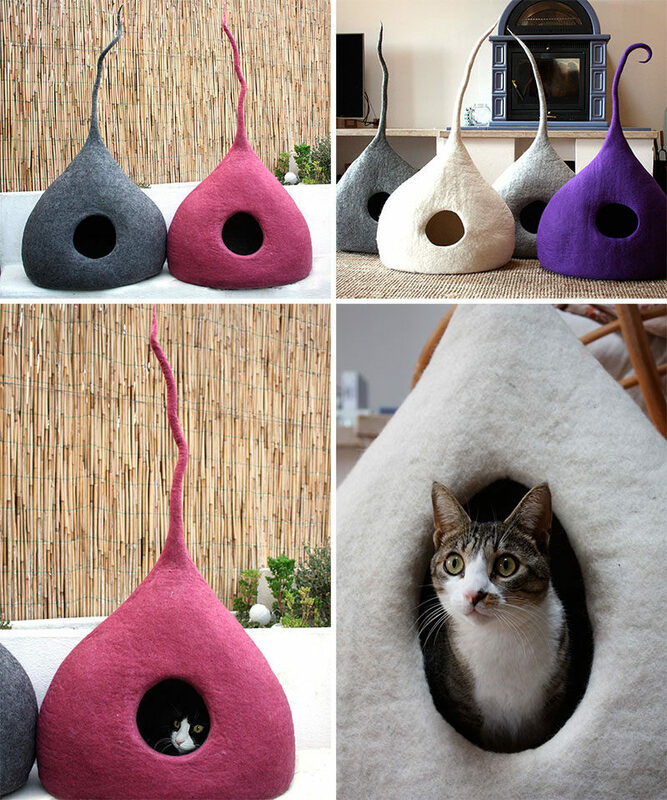 Cats have a tendency to find your softest blankets and pillows, curl up, and make themselves right at home. 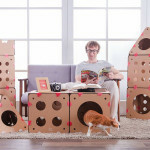 You love them so you tolerate it, but wouldn’t it be nice if your cat had a place all their own? 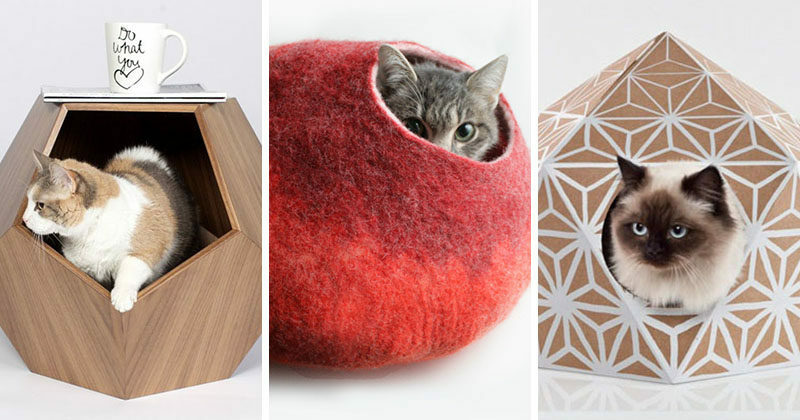 Here are 11 examples of cat caves that will get them off your blankets and pillows, and into cozy corners that belong entirely to them. 1. 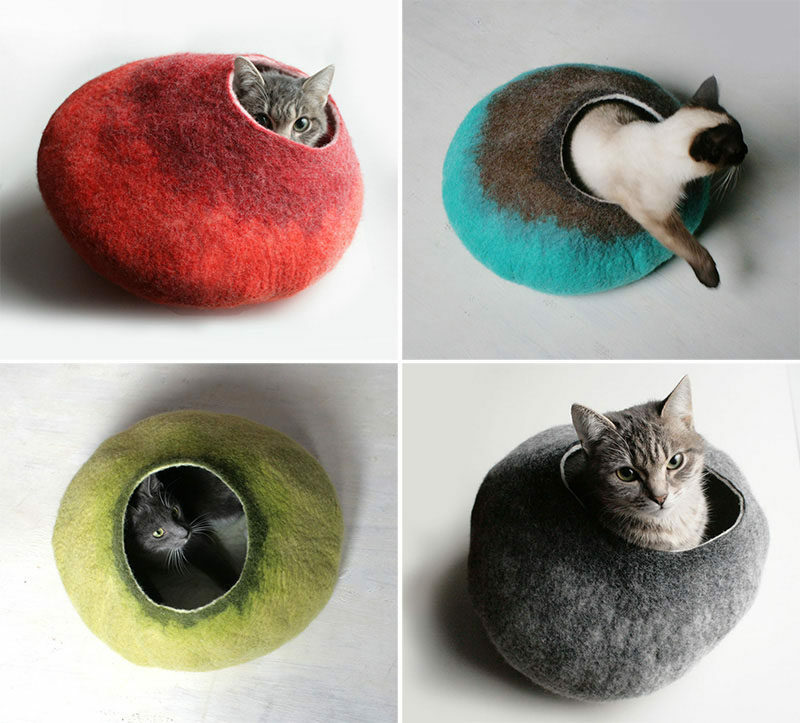 Colorful felted beds in the shape of cat heads provide a cozy spot to curl up in or a convenient place to scratch away at. 2. 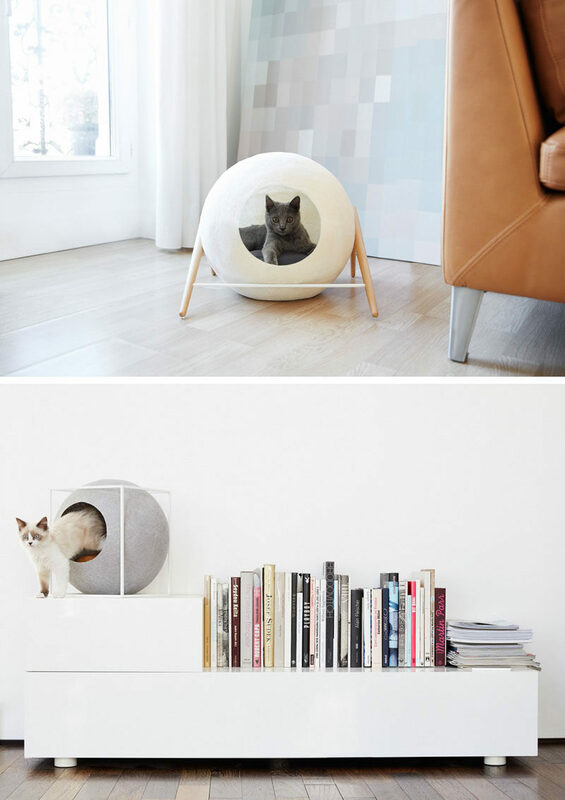 Geometric cat beds add style to your interior and provide your feline friend with a comfy spot to hang out in. 3. 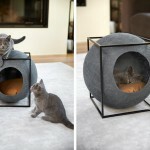 These cat caves have openings just big enough to let the cat in and offer a nice a lookout when they tire of sleeping. 4. 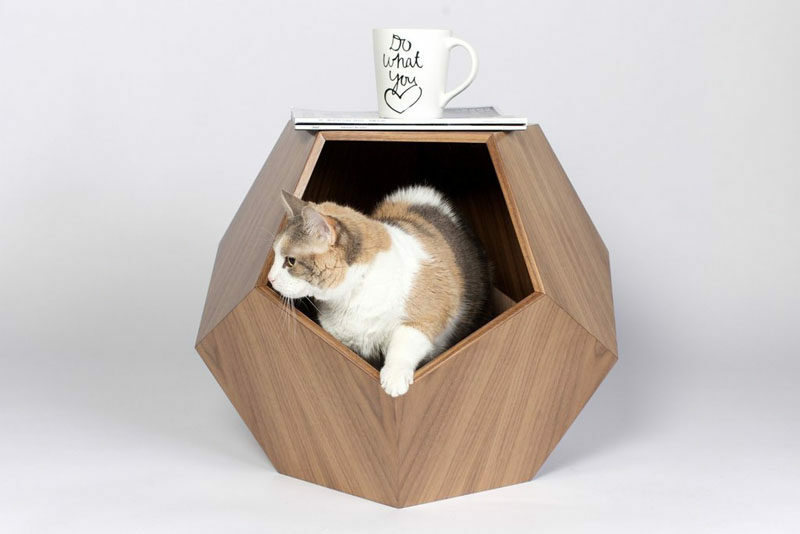 This wooden geometric cat bed can be used as a small side table in your living room and keeps your cat nearby while you watch TV. 5. 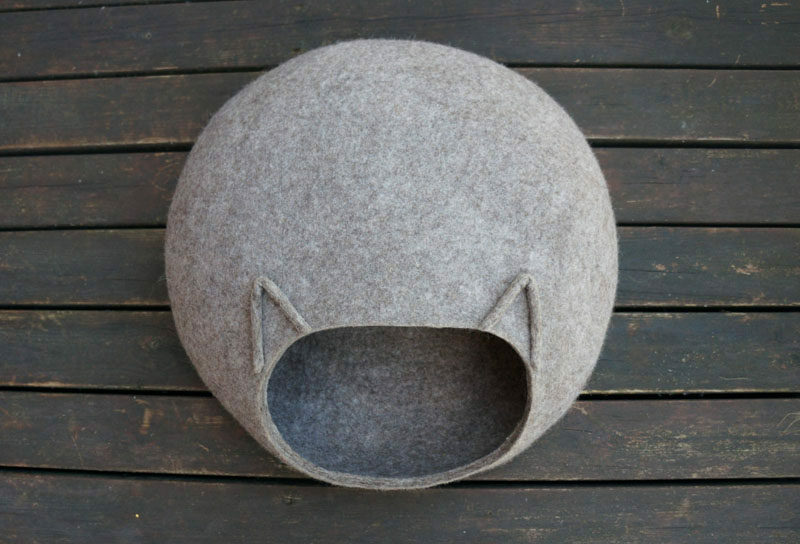 These felted cat beds add a touch whimsy to your home and keep your cat from taking itself too seriously. 6. 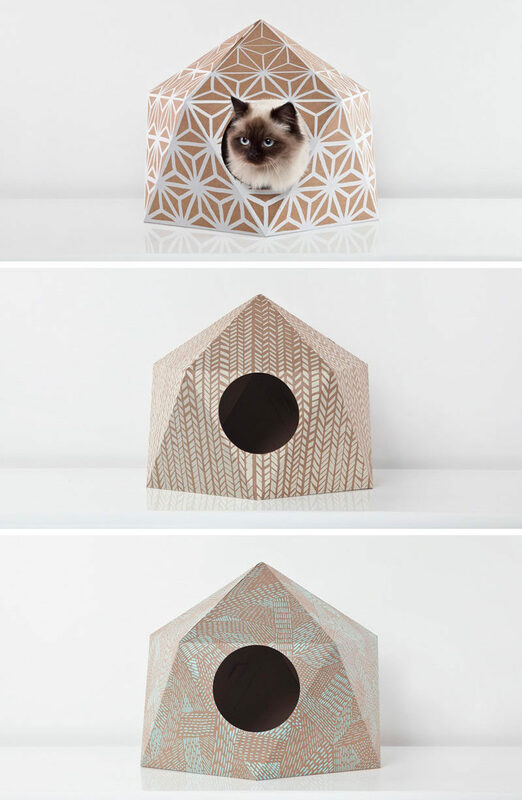 Cardboard domes with fun patterns on them offer your cat a safe and stylish spot to snooze. 7. 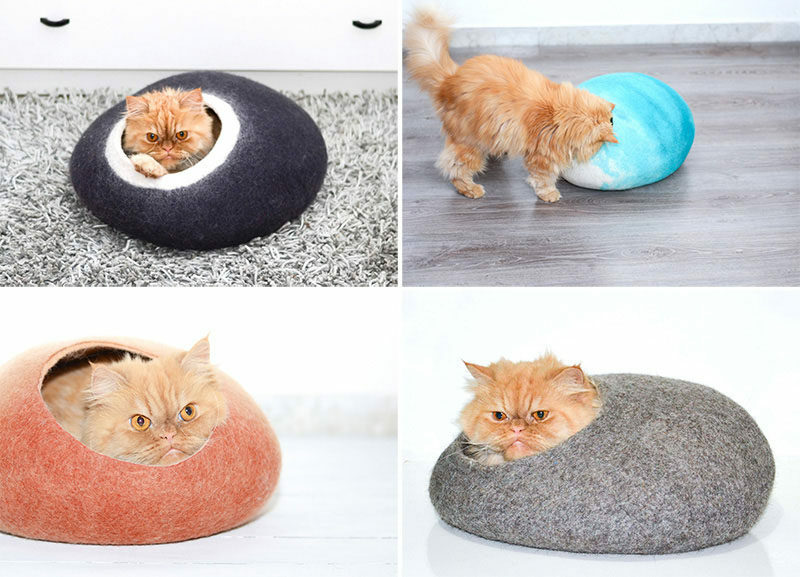 These multi-toned felted cat beds have little openings that they can stick their heads out of and survey their surroundings from. 8. 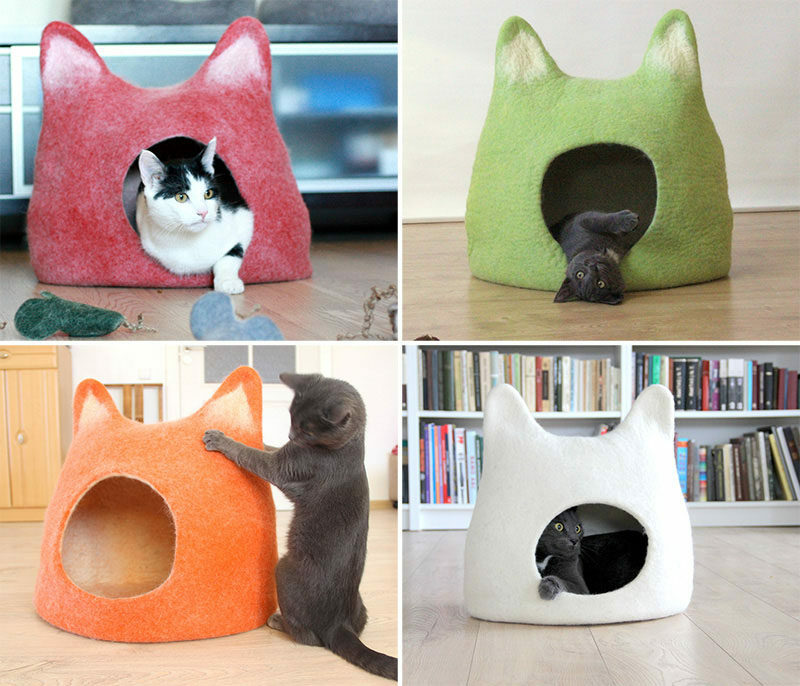 Give you feline friend a bed that’s shaped just like a cat, with the added benefit for your cat of being able to hideaway inside. 9. 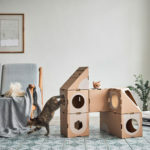 Line this wood paneled geometric bed with a cozy blanket or pillow and create a soft, warm spot that your cat will be happy to take cat-nap in. 10. 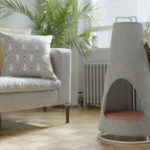 This concrete and wood side table also doubles as a place for your cats to hang out, sleep, or play in. Designed for a charity event by Standard Architecture. Photography by Grey Crawford. 11. 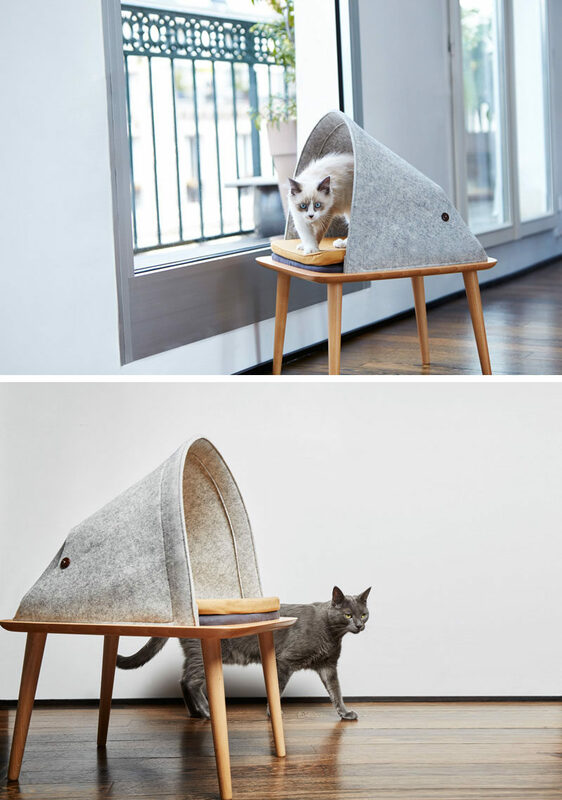 This small piece of dedicated cat furniture, makes your cat feel comfortable being perched up higher than the ground.